The SMR run BMW Motorrad WorldSBK squad of Tom Sykes and Markus Reiterberger have chosen the all-new HM Quickshifter-Auto Blipper for the upcoming 2019 World Superbike season. Running on the brand new BMW S1000RR, the cutting-edge unit will provide the team with more accurate and consistent gearshifts as well as being fully adjustable for sensitivity. It is now also the official product recommend by BMW Motorrad. 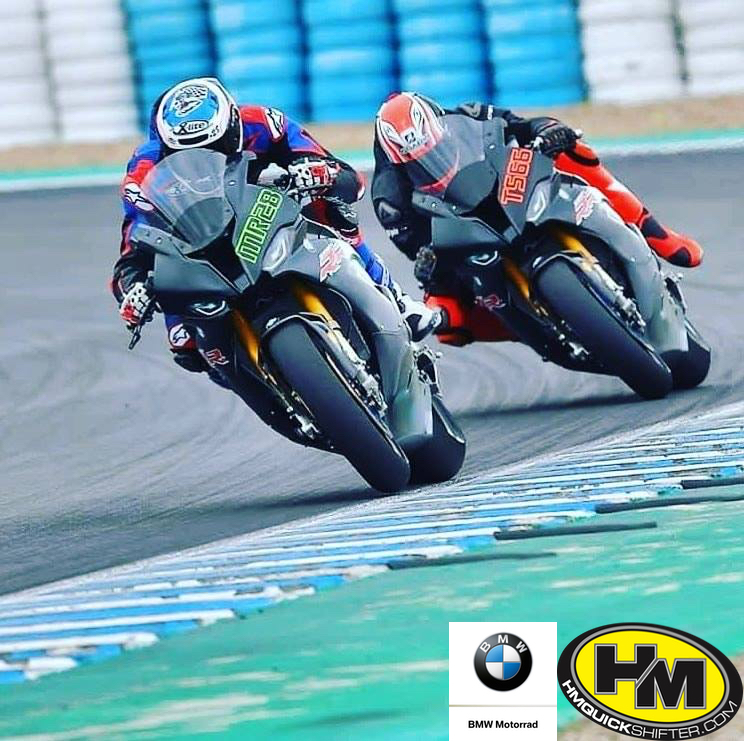 The new-look BMW Motorrad WorldSBK team of Tom Sykes and Markus Reiterberger kicked off their 2019 World Superbike campaign earlier this week with a test on the all-new BMW S1000RR at Jerez. Alongside giving the new machine its 2019 debut, the duo also became the first World Superbike team to utilise the new HM Quickshifter-Auto Blipper. Developed as a direct replacement for a traditional ‘up and down’ Quickshifter, which in many cases can be unreliable, the HM unit utilises an ultra-sensitive Strain Gauge; meaning no moving parts that could cause a mechanical failure. Providing both riders with more accurate, slicker and consistent gearshifts will enable them to drop lap times knowing exactly what their gear changes will be like, lap after lap. The unit is also fully adjustable for sensitivity, meaning the riders can set it up exactly to their preference. Alongside being a technical partner to BMW Motorrad, the new HM Quickshifter-Auto Blipper has been chosen as an official recommended product for the S1000RR. The Quickshifter-Auto Blipper made its racing debut last season, helping power fellow BMW rider Keith Farmer to the prestigious Pirelli National Superstock 1000 Championship title. The unit was also successfully used by the Mototech Yamaha Endurance World Championship team as well as the Reactive Parts Ducati V4S raced by Steve Heneghan at the Macau Grand Prix. 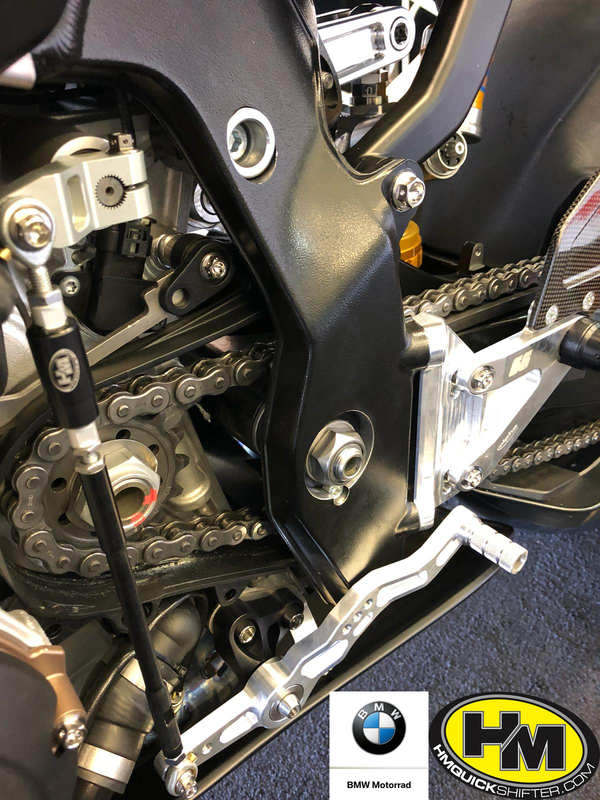 It is not just top race teams who will notice the benefit of the Quickshifter-Auto Blipper however, as road riders will also notice a more accurate feel going both up and down the gearbox. Developed as a simple ‘plug and play’ device, it fits directly into the existing Quickshifter port on modern Superbikes and is suitable for both road or race gear patterns as well as both standard and aftermarket rearsets. HM Quickshifter General Manager Ben Varley explained “We’re really excited that the BMW Motorrad WorldSBK team has chosen to use our HM Quickshifter-Auto Blipper for their 2019 season. We proved last year that it can help riders not only cut those all-important lap times but also provide them with reliable, predictable gearshifts lap after lap.